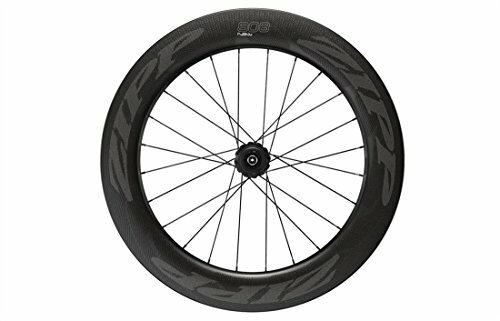 The 808 wheelset is super speedy. Many prefer an 808 back to a disc wheel, as It is lighter and easier to regulate in crosswinds. Some folks like to run double 808’s, at the same time as other run an 808 in back with a shallower front wheel, like a Zipp 404. Either way, you might be getting a wheel that may be absolute best on flat roads and constant speeds, even though strong road racers may also find it an ideal wheel for flattish road races and crits. This 404’s depth is 82mm, which has been the depth of the 404 for years. The width has changed for these wheels, with a max width of 26.4mm, an internal width of 19mm, and optimized for 25mm tires. They figure the bike you put these wheels on it is going to be ridden almost entirely on pavement, and thus the advantages of a narrower tire come into play. It is lighter and because you don’t want the similar air cushion, there is no reason to hold across the wide tire carcass. You’ll go wider if you need, but most likely go no narrower than 23mm. However the change in width also comes with a second change. The extending of the SawTooth dimpling pattern all of the technique to the rim edge. As you will have to know by now, SawTooth is a design of indents molded into the outdoor rim walls that may be made out of twelve nodes. These are designed to begin working for you at speeds of 20mph after which work better when faster. They essentially change the behavior of the wind across the rim to attenuate side wind pressure at the rim in crosswinds, thus making the wheel more stable at high speeds.